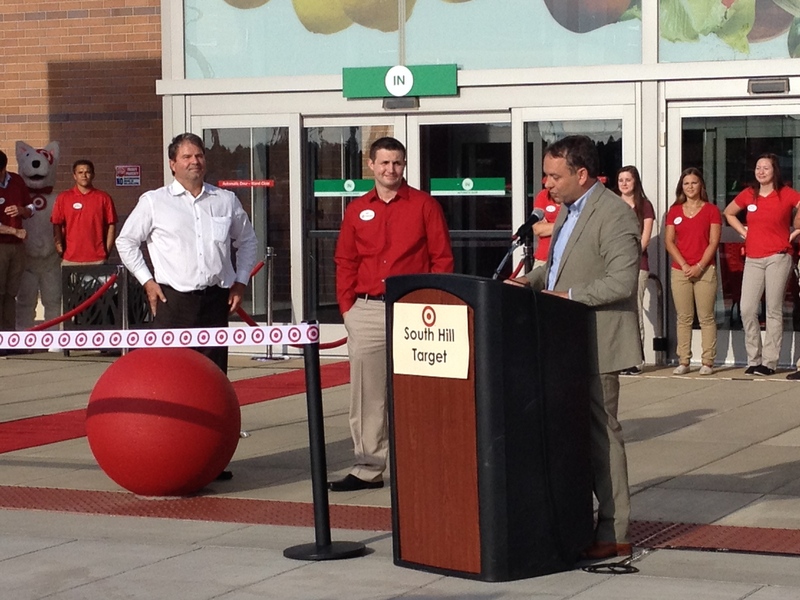 SNC representatives had the opportunity to attend the Ribbon Cutting at the new South Hill Target and do a quick preview before the soft opening tomorrow. 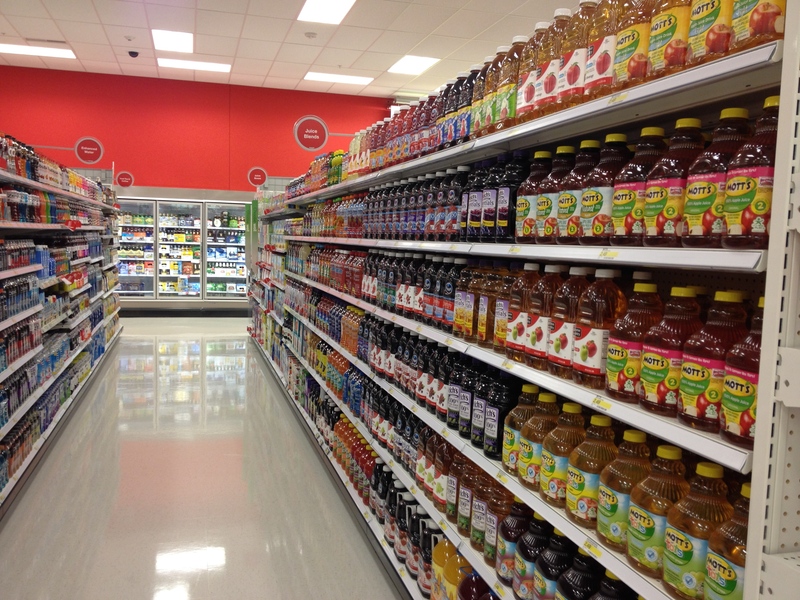 So what follows is a quick photo tour of the new store. Spokane Mayor David Condon gives some remarks at the ribbon cutting. 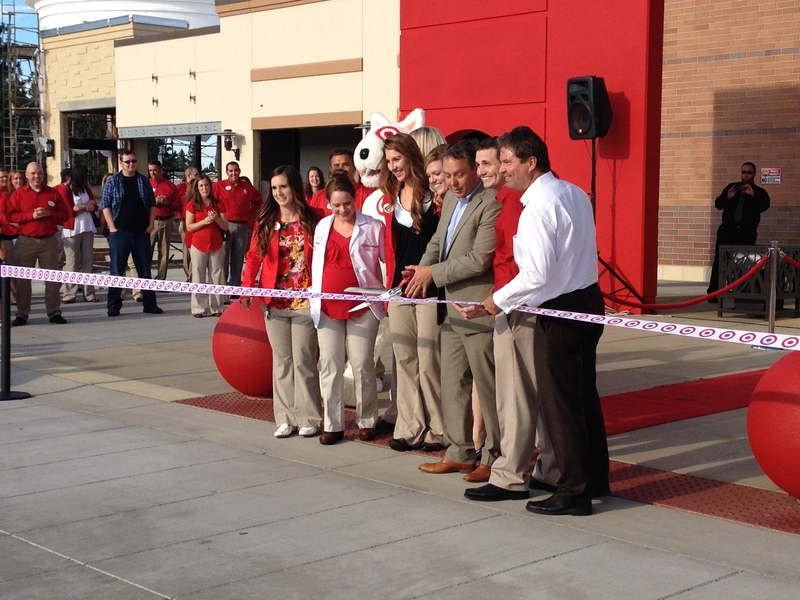 Developer Dave Black and the Target store leadership team cut the ribbon. Dave Black had a couple of announcements about new confirmed tenants and timelines for work on the exterior pads. 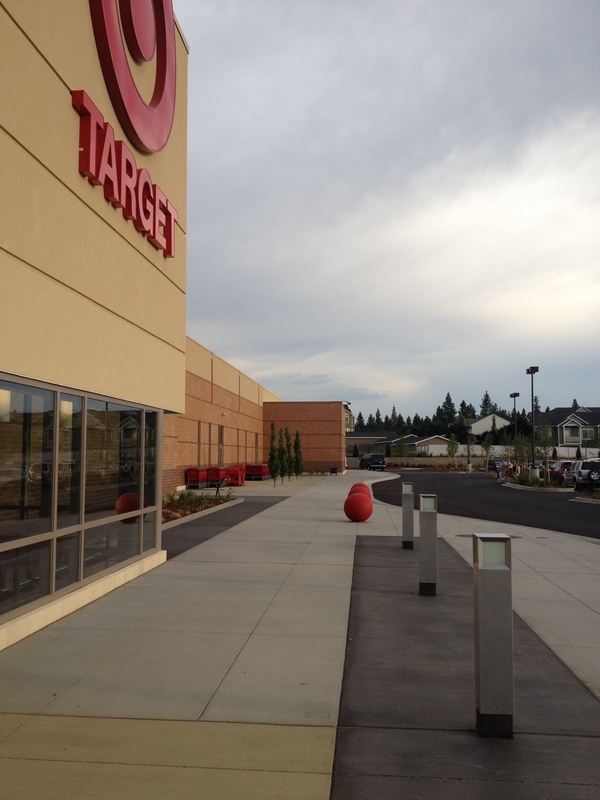 First was the announcement that Pad A next to Target will contain Spokane’s first Mod Pizza (a regional chain based in Seattle), a Sally Beauty Supply, and haircut shop (probably a SuperCuts). He also said he has 5 other letters of intent for other spots on the property. Anthony’s Beach Cafe just got its permits last Friday and will begin construction immediately in one of the spots adjacent to the Community Plaza near Regal. Speaking of which, the Community Plaza will also be worked on through the rest of the summer. We will certainly keep people up to date on the progress here and through the Southgate District Center Facebook page. 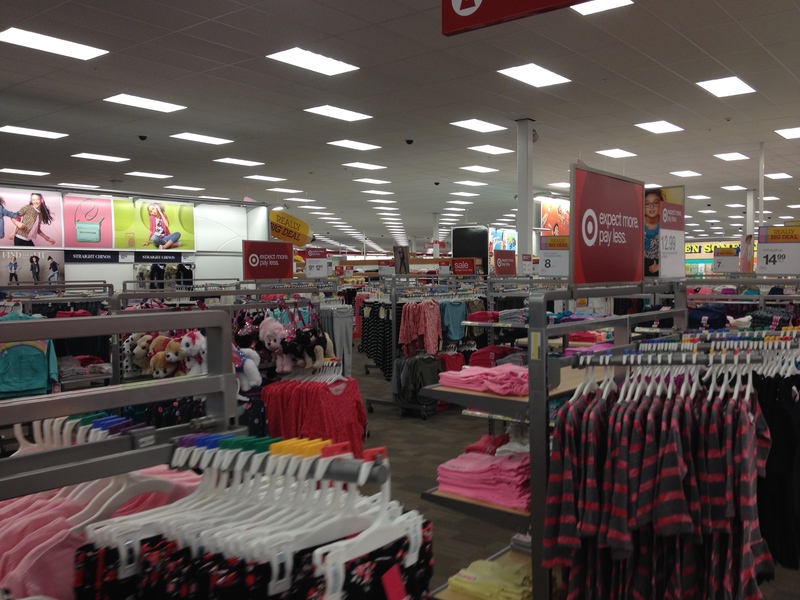 Undisturbed racks of back to school clothing. 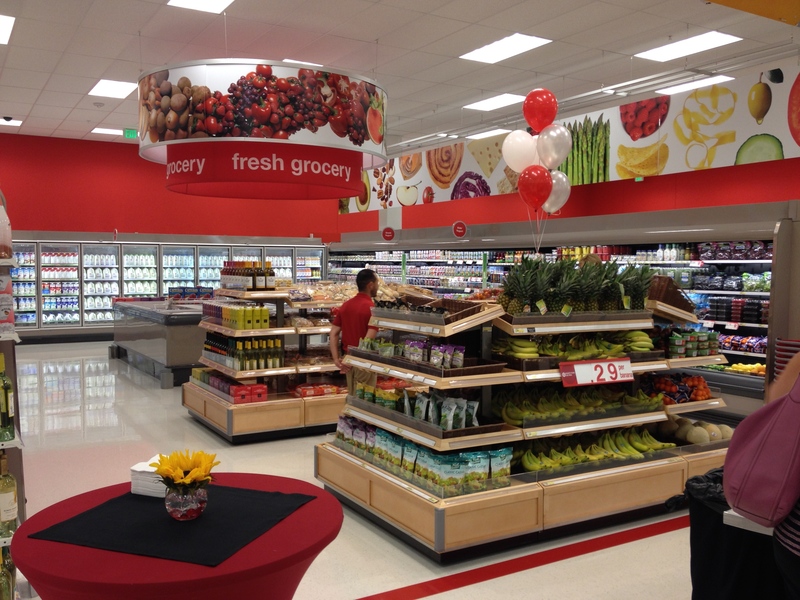 The new Target features limited fresh produce and other groceries. Local Beer? Not quite, but the store carries beer, wine, and liquor. 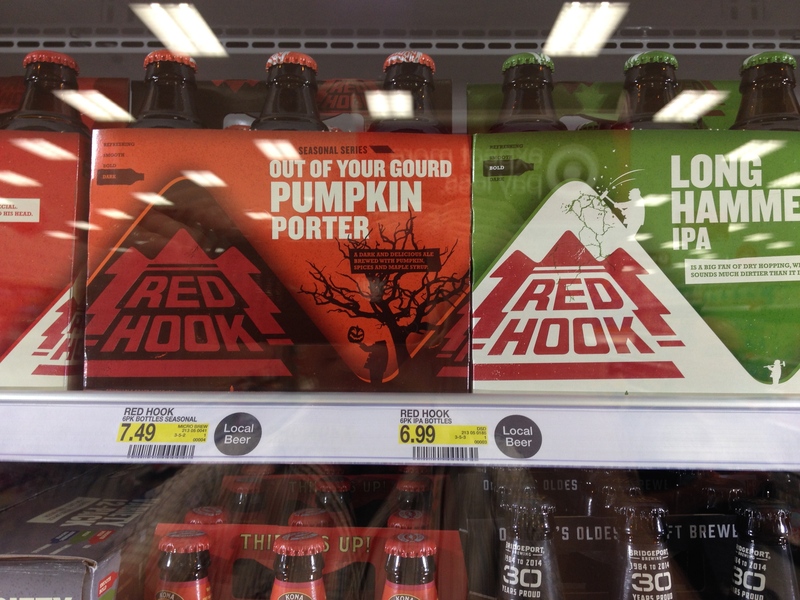 Hopefully the will get some Spokane beer eventually. 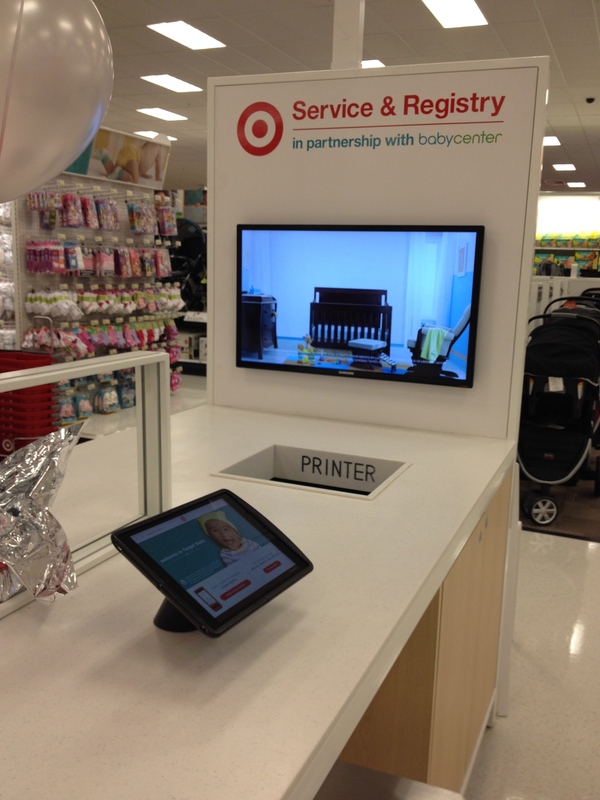 Interesting gift registry station out in the middle of the store. Check out the tablet interfaces. 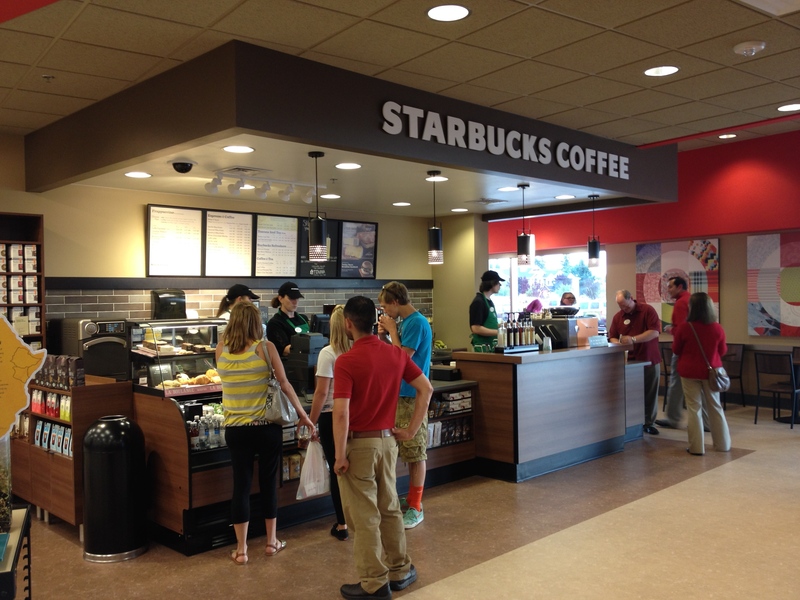 A full Starbucks is part of the cafe inside Target. 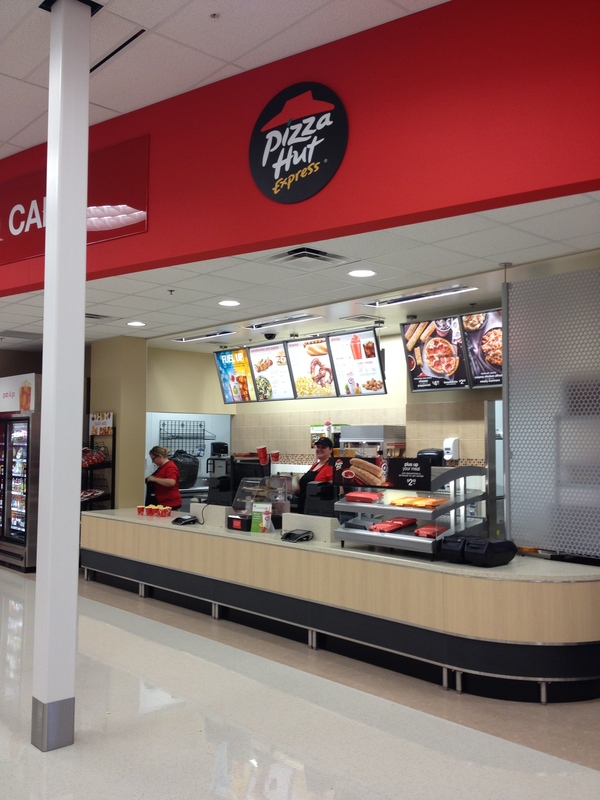 Pizza Hut Express was an unexpected inclusion with the store. 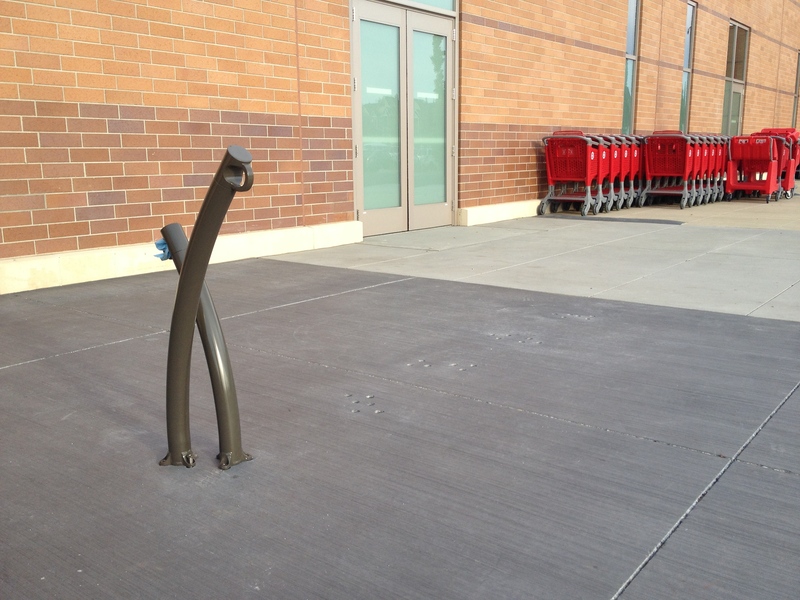 Bike racks from the District Center Kit of Parts (a few more coming it looks like). 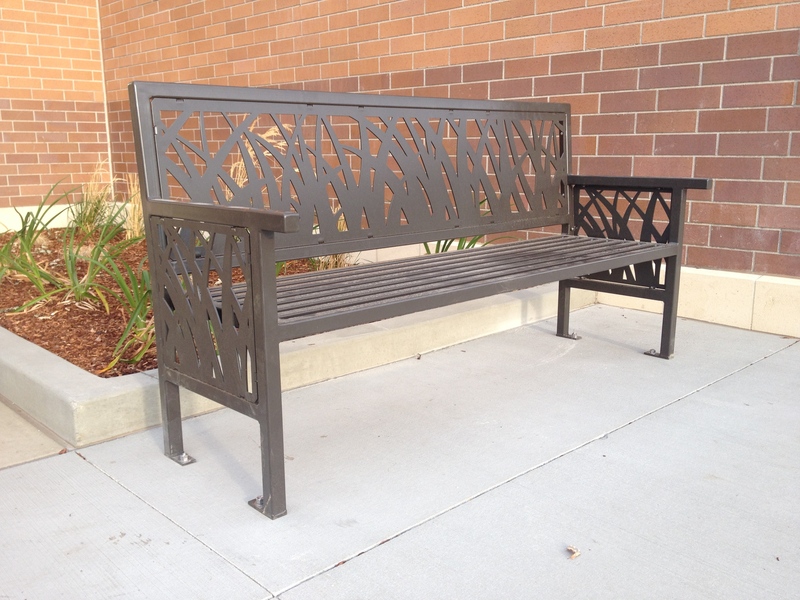 Bench from the ISP Kit of Parts. View from the front door down towards the lone bench in front of the store (about 100 yards away). 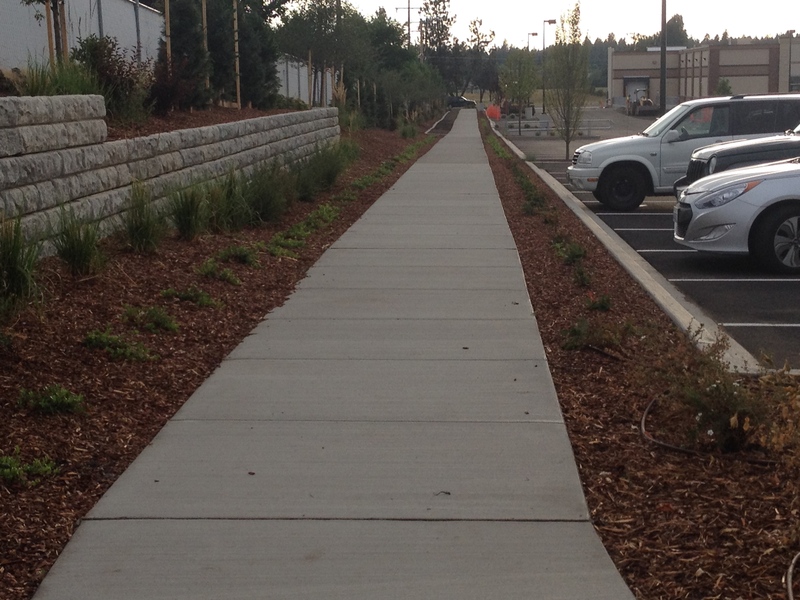 The southern sidewalk offering safe pedestrian access from Regal to the storefront. So that’s the quick look. 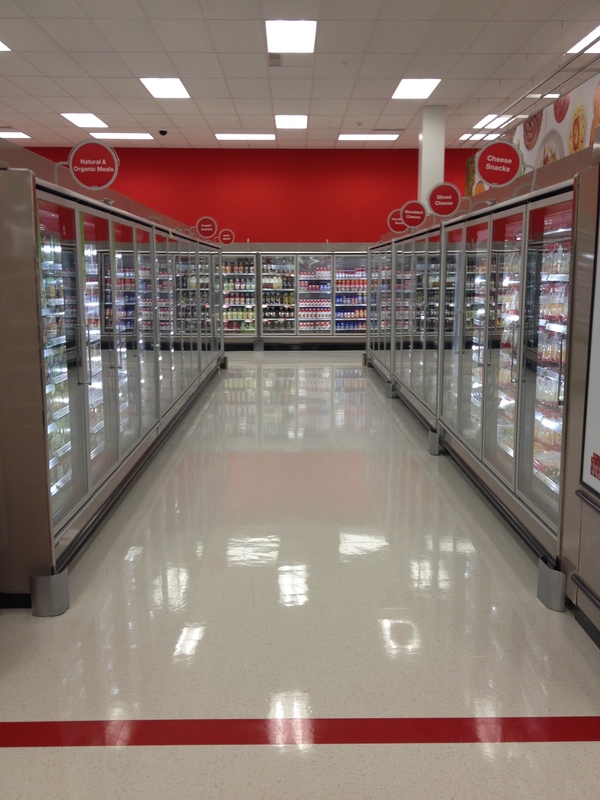 If you have been inside the Northside Target in the last year or so many of the store fixtures and features will seem familiar, the size of the place is what really gets you. Check it out for yourself, the Soft Opening begins Wednesday morning at 8am. The staff is there and very friendly and helpful. Verizon is proposing to add a new cell tower over in Glenrose and they are holding a Community Meeting from 7:00-8:00pm next Thursday, July 24th at Moran Prairie Library to give some new details on location and design. You may recall that this was discussed at one of our neighborhood council meetings back in April. Based on our input to them at the time, Verizon has moved forward with a tower design to look like a pine tree.